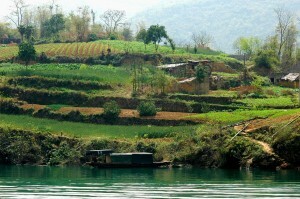 The medical journal Lancet published an extensive article on food security in China. Rapid industrialization and social transformation is affecting food supply as well as food safety. And the picture that emerges from this is that in spite of progress made since 2006 to reach acceptable standards of food security the situation is still unclear. Many factors are limiting agricultural development and these include land conversion of agricultural land to other uses, soil quality issues and water scarcity. Growing food demand: China’s population is expected to reach 1.4 billion in 2025. China is rapidly changing to a mainly urban society. Its GDP reached 7.3 trillion 2011 and accounts for around 10% of global economy. This is putting a strain on agricultural land with increased consumption of animal products and edible oils. Food supply and food safety is becoming an issue both for the Chinese consumers as well as for Chinese trading partners. 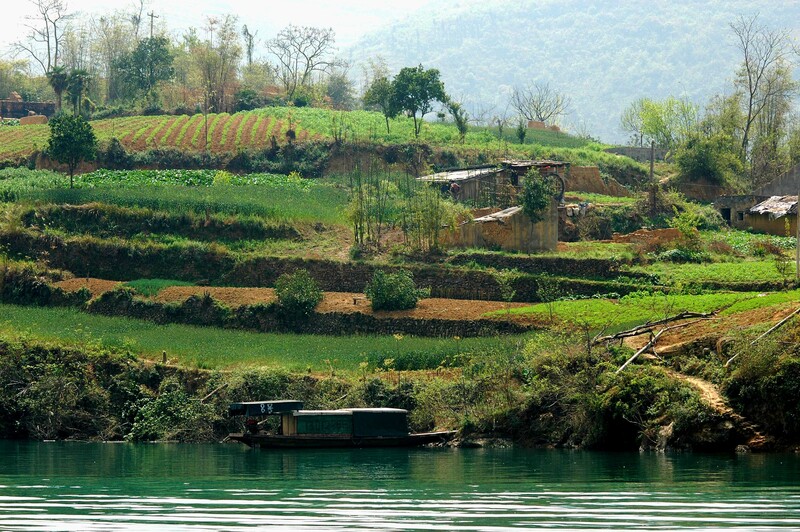 China has more than 20% of the world’s population and only 7-9% of the world’s arable land. Thus the country’s arable land per person is below world average. The land destined to agriculture has been rapidly declining as a consequence of its industrialization and urbanization and also in part because of soil erosion and desertification. Arable land is facing competition from economic non-food crops such as cotton. The best land is located in the northeast China Plain and North China Plain. Of the remaining arable land around 40% is identified as most suitable for crop production while the rest is subject to environmental strain such as high salinity content and in the northern territory Heilongjang by low temperatures. Water supply is one of the main issues. Water accounts for 60% of the country’s water consumption and draught and desertification affects 10% of its arable land. Nationally per person freshwater resources are below global average. There are several issues that have been identified such as microbiological contamination. This is not just a Chinese issue but given its demographical magnitude it makes it even more precarious. The crucial question is pollution caused by heavy metals and inorganic substances due to its rapid industrialization in the past 20 years. Many crop fields are situated in proximity of industrial plants and water contamination has been an issue in recent years. In 2007 the university of Nanjing, in the central coast revealed cadmium levels above what international authorities recommended in 10% of rice produced. The following year quantities of lead of more than 16% and 11% of cadmium of rice samples were found in the Fujan province. The report states that these statistics may not be representative of the country but may be restricted to certain regions. Cadmium when consumed can lead to a variety of health isues such as osteoporosis , renal failure and cancer. Other critical areas are determined by the use of pesticide and farmaceutical products for breeding where China is the main global producer and exporter, this is also compounded by the use of illegal substances such as illegal food additives that adds to incidences related to microorganisms and chemical contamination. The Chinese have made progress more recently to improve security in food supply with the approval of a special law in 2009 and the creation of the China National Center for Food and Safety and Risk Assessment. Since then controls have become more rigorous but still not sufficient. Many difficulties are encountered in a system that counts more than 450.000 companies and where too often profit takes over other secondary issues and where the application of norms are resolved by local authorities too often altered by corruption.